If you've never experienced the magic of a PNP personalised video message from Santa then I'd really encourage you to take a look. From the very moment we first set eyes on a Portable North Pole video, we've been captured by the magic of PNP and each year the videos get bigger and better. 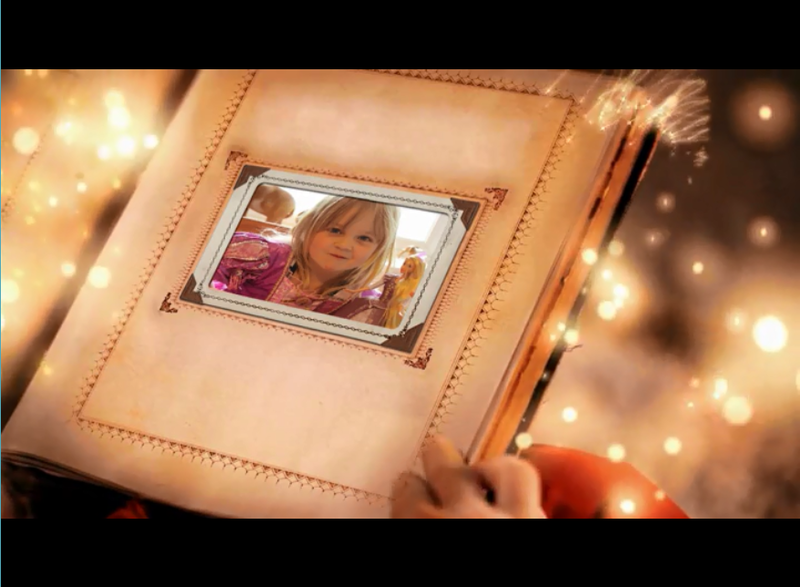 This year, the free personalised PNP videos feature a fixed single storyline but the premium PNP videos offer a choice of three different storylines so that you can choose a theme that best suits your child or, as in my case, so that you can choose different stories for different children to really weave the magic of the 'personal' message. Both of my girls now look forward to the day when they can view their incoming message from the big man and his troupe of elves (and very talented elves they are too). Children can watch their videos online through an email link, or you can watch them through the free PNP iOS app which is coming soon. Alternatively, if you purchase a premium video, you can save the video to your computer so that you can play it again and again. This year, I bought the girls each a personalised premium video from Santa. I tweaked some bits here and there and I uploaded lots of the girls favourite photos of their birthday parties and summer holidays which I knew would bring back lots of great memories. I configured the videos such that santa gave them each a bit of a warning - he told Holly to behave at the dinner table and Lara to control her temper. Neither of them made it onto the nice list. Woops. But thankfully, I've paid for an unlimited set of videos this year so, in a couple of weeks time (when, hopefully they've acted on Santa's advice) I'll be able to set up a new video with new photos and themes that tells them they've made it onto the nice list. Also on PNP you can purchase telephone calls from the big man himself and I'm thinking that this might be a great idea to congratulate Lara if she does manage to control that temper and squeeze herself onto the nice list.